The step through design of the main body of the AM-6i makes this a very easy bike to mount and dismount. 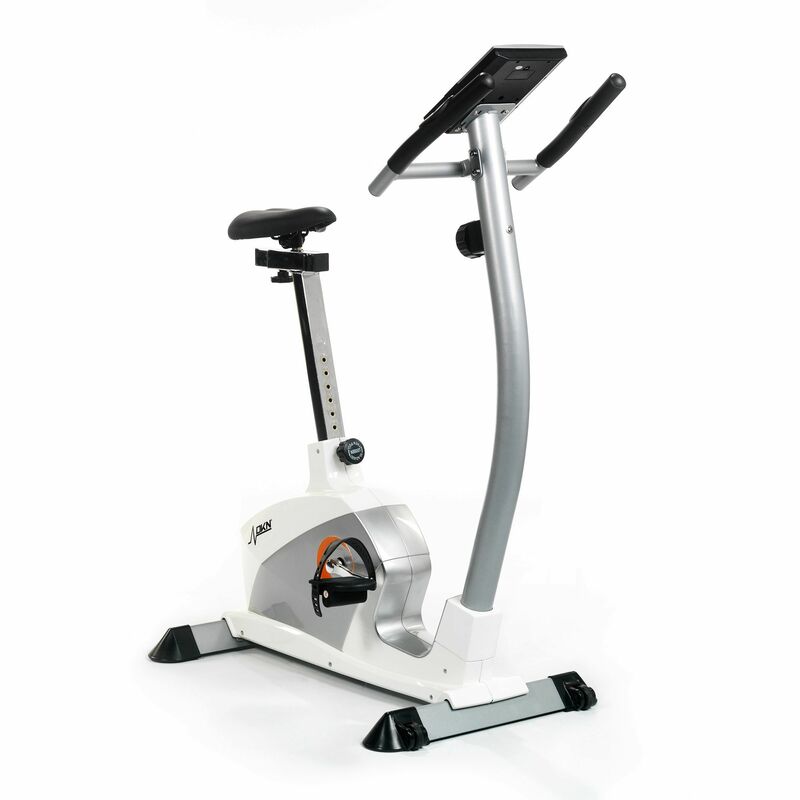 As a stand-alone exercise bike, the AM-6i has an impressive specification: The console offers user profiles for 4 separate users with each being able to store their age, weight, gender and height. This information is used by the console to provide more accurate calorie count. The bike enables you to train with the iWorld application that supports iPad, iPad 2, iPad 3, iPad 4, iPad Air and iPad mini. With the iWorld you can discover routes from around the world, plan your own ones, experience real terrain elevation, share your workout statistics with friends on facebook and other social media channels as well as check the progress in your iLog. The application can be downloaded for free from iTunes or Google Play Store. 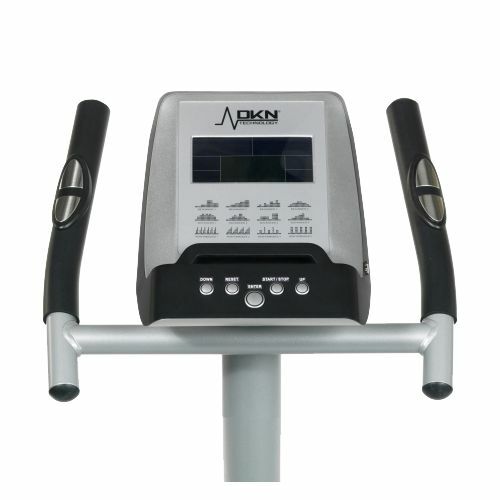 With DKN Motion, a tablet is transformed into a crystal clear, interactive console for the exercise bike. Selections are made using familiar touch and swipe actions. Each profile consists of a cartoon style avatar, name, age, weight, height and gender. After the completion of an exercise session, an option is provided to save the key stats from that session such as date, duration of exercise and number of calories burnt and to view the 10 most recently saved sessions for the selected user. Training on an exercise bike, even with programmes, can get a little dull. Not so with DKN's iRoute functionality available in the DKN Motion App! There's a selection of iconic routes from around the world to choose from and you simply select one and start training. The app has accurate data of the elevations of the route and this is automatically reflected in the resistance levels of the bike as you cycle along, whilst progress along the route is reflected visually by a moving pointer on a map of the route. The DKN Motion app is fully multitasking, which means that once a programme has been started, it's possible for the user to keep themselves distracted from the hard work of the exercise session by reading emails, using social media websites or catching up with films and TV programmes using other applications on the tablet. Great delivery service from Sweatband. Ordered on a Monday and delivered on a Wednesday. Easy to assemble, very sturdy. Extremely quiet and multi functional with the iworld and imotion software which was easy to load on to the ipad. A great buy with many many variations of routes etc. Great bike. Fairly easy to put together with no help in 1 hour. Initially had some issues connecting Iphone 6+ to bike through DKN I world but this is now fixed. Bike is sturdy for my 17 stones and provides a good workout. 2 year guarantee is a bonus. The external plastic on the bike is a bit cheap looking and i wonder if with any knocks it may crack. However for a £300 bike this does the job nicely. Sweatband customer service was its usual top quality with next day delivery as promised. The deciding factor in choosing the AM-6i bike was the positive reviews and availability of interctive functionality. I'm using this bike to maintain fitness levels following a knee injury last year.I like comfy seat that has plenty of adjustability to get a good position and the bike's stable frame which is doesn't budge when cycling strenuously. The iWorld app provides a very nice and motivating cycling experience. I'd happily recommend this bike to others seeking a sturdy exercise machine. I'm over 60 and find this bike an effective way to exercise at home. I really like the DKN's nice, modern design and its range of built-in features. Typically, I've been using it 4-5 times a week and monitoring my heart rate on the console. I'm impressed with my results so far, and can feel each session getting better than the previous one. I believe I've chosen well with the AM-6i. I selected this particular bike because of its high ratings and positive reviews and so far, I'm very pleased with this machine. I'm trying to loose some weight before my wedding and for this goal, the AM-6i works well. I like the fact that the bike has user profiles to enable better workout monitoring and provides tailored calorie consumption figures. In use, the bike is very stable and comfortable and certainly seems more durable in comparison with my old cycle. One feature that I particularly enjoy using is the iWorld app and have already tried exploring Grant Park in Chicago. If you're looking for a quality exercise bike and considering this model, have no fear - this is a very good buy! Very good machine at reasonable price. I really like its iPad connectivity and great range of resistance that it offers. Exercising daily for 20 minutes or so, I'm fully satisfied with the workout flexibility of AM-6i. Lack of handlebars adjustment lowers my score a bit, but overall I'm pleased with this bike. Great exercise bike. We are very happy with it. Since December we've use our AM-6i daily and so far bike works great! We would definitely recommend it. I chose the DKN AM-6i, after reading positive reviews about it online. Very nice console with an iPad connection allows for easy control and changes to my workout. Installation was surprisingly easy, as everything is demonstrated clearly in manual. 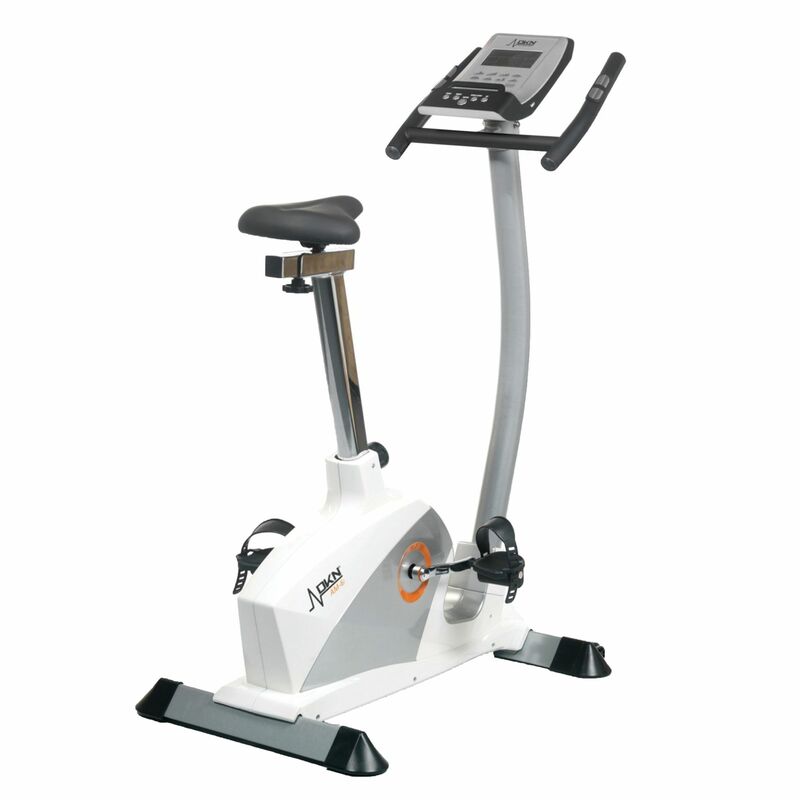 Its performance workouts really make me sweat and I wouldn't change anything about my AM-6i. Good value for money. Bought the AM-6i on my friend’s recommendation and so far I'm pleased with this bike. Great resistance and impressive pre-set workouts. Still haven’t tried DKN application, but I'm sure it’s great fun. Easy to install and doesn't require much space. Perfect for home use. I bought this exercise bike for me and my wife to keep fit and lose some weight. The assembly went smoothly, it took about half an hour, but it needs 2 people to put it together. I exercise almost everyday for about an hour and chose this bike because it has an iPad connection. When I use BitGym App I go for 10 minutes starting from resistance level 5 and then every 10 minutes I change it up to level 25 and through all that time I'm pedalling as fast as I can. When I use iConsole App I start from resistance level 25. The machine is pretty good. I'm very happy with it. 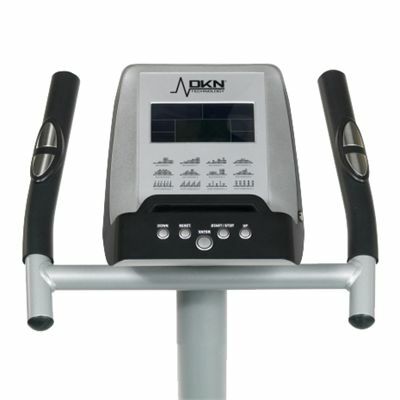 for submitting product review about DKN AM-6i Exercise Bike.